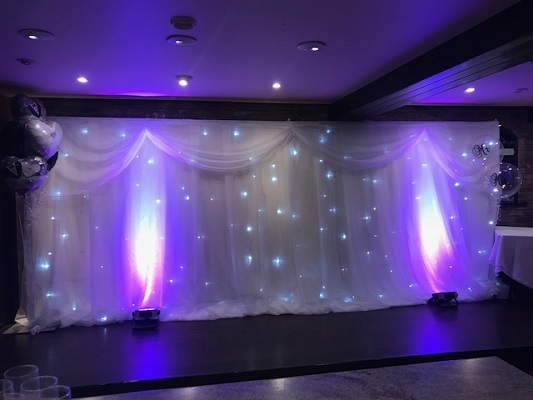 Our beautiful LED backdrop is a focus for any wedding event placed behind the top table, to illuminate a venue or hide an unsightly background. 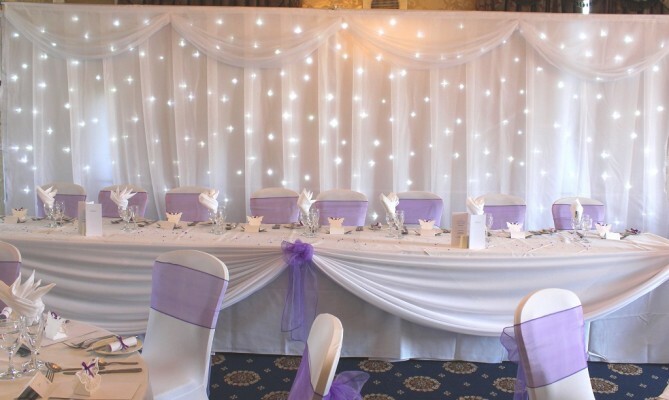 The lights are built into the curtain providing a sparkle effect with no wires trailing on the floor. The material is fire retardant with a top layer of see through fabric and comes with a detachable sash for that added glamour. It comes with a DMX controller with 17 functions and 4 modes allowing you to customise your settings. The stands are heavy duty and robust and extendable to 6metre wide by 3metres high. 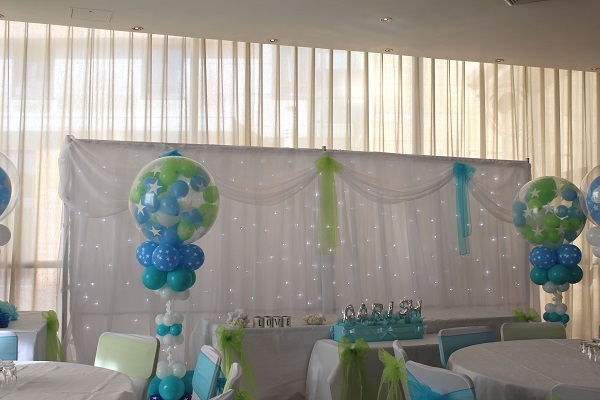 Pair it with our matching twinkle top table and cake table skirts for a full sparkly event! 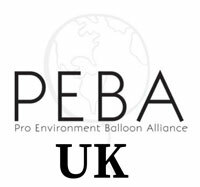 Prices start from £150 which includes delivery and set up costs within 20 miles of our base in LS25 so there is no worry for you to have to set it up yourself. 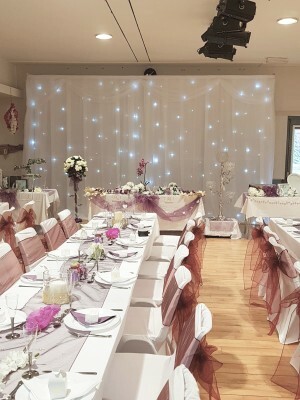 Venue dressing packages are available with a package to suit all budgets. 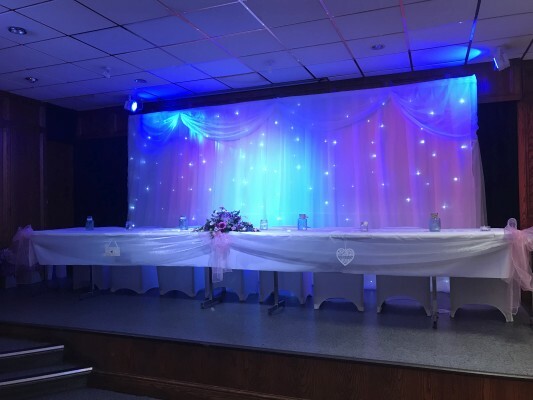 Highlight your wedding top table and cake table with our LED Table Skirts which has the LED lights built in, comes with DMX controller including various functions and speeds which controls the lights.